From Germany yet again today rises the aroma of dissent. Whether this will ripen into schism or outright heresy will be clear after the conclusion of this fall’s Synod on the Family. 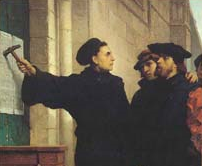 Some modern-day princes of the German Church and numerous German bishops are, as did Martin Luther some centuries ago, attempting to heretically alter Church teaching and to rewrite Holy Scripture. They seek to change Jesus’s words to the woman caught in adultery: “Go now and sin on more.” They either excise or reinterpret passages like 1 Corinthians 6:9 (“Nor will men who lie with men . . . possess the kingdom of God”) so that voluntarily engaging in homosexual acts becomes virtue instead of sin. German Cardinal Walter Brandmüller, a former head of the Vatican’s commission for historical sciences has spoken regarding German church leaders who support a change in doctrine that would admit divorced and civilly remarried Catholics to Holy Communion. He has called the leaders heretics and said that they put the unity of the Catholic Church at risk. In an interview with LifeSite News, Brandmüller said that those who support such changes are “irresponsible” and “in contradiction to the teaching of the church.” He was responding to a proposal, put forward last year by fellow German Cardinal Walter Kasper, for remarried Catholic divorcees to receive Holy Communion after a period of penance. Brandmüller’s criticism is directed to fellow bishops and cardinals, including Cardinal Walter Kasper, Cardinal Reinhard Marx, and Bishop Franz-Josef Bode. Bishop Bode will be one of the German church’s representatives at the Synod this Fall. This is an absolutely anti-Catholic idea that does not respect the catholicity of the Church. Episcopal conferences have authority over certain issues, but not a magisterium alongside the Magisterium, without the Pope and without communion with the bishops. . . . This kind of attitude risks in fact the reawakening of a certain polarisation between the local Churches and the Church universal, out of date since the Vatican I and Vatican II councils. The Church is not a sum of national churches, whose presidents would vote to elect their chief on the universal level. (Interview of Cardinal Muller in Famille Chrétienne, translation by Rorate Caeli). What will it profit, my brethren, if a man says he has faith, but does not have works? Can the faith save him? . . . So faith too, unless it has works, is dead in itself . . . But dost thou want to know, O senseless man, that faith without works is useless? . . . You see that by works a man is justified, and not by faith only . . . For just as the body without the spirit is dead, so faith also without works is dead (James 2). Are they doctors? So am I. Are they learned? So am I. Are they preachers? So am I. Are they theologians? So am I. Are they disputators? So am I. Are they philosophers? So am I. Are they writers of books? So am I. And I shall further boast: I can expound Pslams and Prophets, which they cannot. I can translate, which they cannot . . . Therefore the word allein shall remain in my New Testament, and though all the pope-donkeys should get furious and foolish, they shall not take it out. (Scahff, ibid. p. 363). God only obliges you to believe and to confess (the faith). In all other things He leaves you free, lord and master to do whatever you will without any danger to your conscience, it makes no difference whether you leave your wife . . . What is it to Him if you do or do not do such things. (Luther’s Works, Weimar edition, XII, p. 131). Those in loving adultery and in caring homosexual relationships, who, although they do not have the “fullness” of marriage, have a portion of the good of marriage. “Pastoral innovation” in Germany is their sovereign province and bailiwick; they can do what needs to be done to “shepherd” their people. There is no need to further elaborate on the precise parallels between Luther’s program for rebellion and the schema of today’s rebellious German Princes of the Church. They repeat Lucifer’s, the light bearer’s, non serviam and they are truly modern day Luthers. In the end, the Holy Spirit is with the Church until the end of time, and the gates of hell, German or otherwise, will not prevail against it.